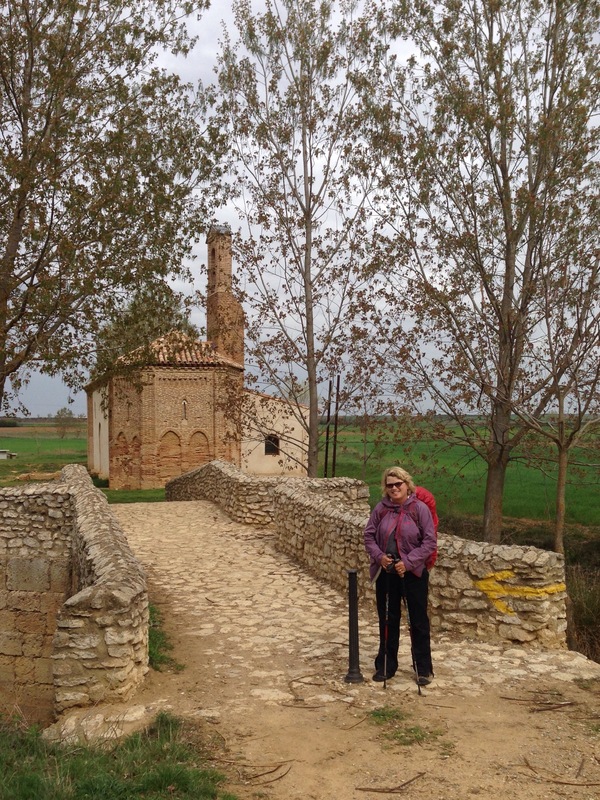 As I walked the Camino, I realized how little Spanish history I knew. Being in Spain for almost a month between my two trips in 2013 and this time in 2015, I was struck by its singularity within Europe. As a gigantic Peninsula, it’s essentially an island, cut off from France by the Pyrennes. It never went through the turmoil of the Reformation in the 16th Century. Although there was that thing called the Inquisition! Spain was not involved in the two World Wars. After the Civil War of the late 1930’s, Franco became dictator, and Spain stood alone for more than 50 years. I also didn’t know much about its early history. I knew the Moors had occupied much of Spain in the Medieval era. Statues of St. James as Matamoros, or Moor Killer, were everywhere in churches along the Camino. El Cid was remembered as a great hero in Burgos. In Najera, I saw tombs of the Kings of Navarra. In Leon, there was the Pantheon of Kings, going back before the 12th Century. The Knights of the Templar churches and the Castle in Ponferrada were spectacular. There was a rich history in Spain. The Camino drew me in to learn more. 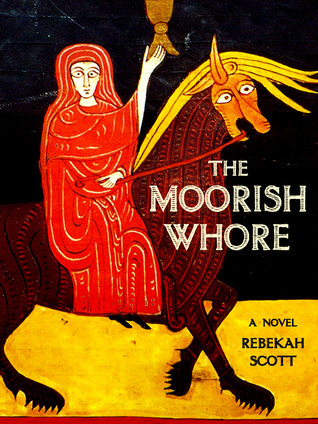 Rebekah Scott’s novel, “A Moorish Whore” took me back to the 11th century of Medieval Spain. The main character, Zaida bint Mu’tamid, is a princess of Moorish Seville who was carried off by Alphonzo the I, King of Castille and Leon, as a prize of war. She was baptized a Christian, given the name Isabel, the King married her, and brought her to the north of Spain, to San Fecund, which is now Sahagun. We see the world of 11th Century Spain through Zaida’s eyes. The novel’s female perspective is one of its strengths. She loves the King, and the children she bears. She brings cleanliness and running water to her town. She is more educated than the monks in power in San Fecund, who never accept her, and see her as an infidel. We witness and cheer her on in her struggle to survive in a harsh land run by violence and intrigue. One of the delights of reading the novel was recognizing a place in the book. It’s just outside of Sahagun. It had a feeling of being “out of time.” There’s a little bridge over the river, and a stone chapel built in the 11th Century. In the novel, Zaida finds understanding with the hermit Esteban who lives there, and Pilgrims walking to Santiago stopped for respite. Zaida adopts the little waystation, brings in running water and sanitation, and builds the chapel. She befriends the people who live on the riverbank, who catch crabs and fish. It was a wonderful reimagining of what a place was like centuries ago. There are so many ancient places along the Camino just like it. Each of them has a history that has been lost to time. As Pilgrims, we go by quickly, snap a photo, and move on. Scott reveals Zaida’s strong character through a swirl of memories and the story deepens as we learn more about her life back in Seville. Her parents are notable characters, and we learn that life was not at all perfect before she was “chosen” by Alphonzo. There were power struggles within the court, and, as a young woman, Zaida was used as a pawn by her own family, too. The plot thickens towards the end of the novel, and builds towards a surprising finish. Zaida/Isabel is a survivor and a strong woman. “The Moorish Whore,” brings her and her time, back to life.